I was in Restaurant Shelaiton again. It was not a special occasion, but to celebrate the short reunion of my family and perhaps a farewell feast for me. My last visit was about half year ago and today again, I am here craving for their pork ribs. 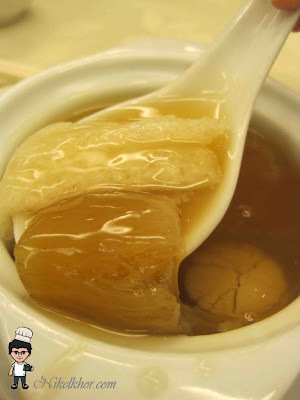 Missing their flavourful shark's fin soup since last dinner, this time I definitely would not miss out it. Supreme quality ingredients were using to complete the soup, so the price of RM 35 per person is certainly worthy. 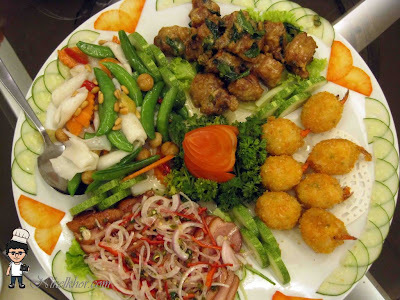 The four dishes combination is one of their signature too. I love their idea by putting all good stuffs in a plate! Allow me to eat all delicious signature dishes in one time. I enjoyed their smoked duck slices the most, the meat is tender and juicy, perfectly matched with the Thai style sauce. The Butter Cream Pork Ribs was good too, very fragrant with a hint of curry leaves. Every piece of the pork ribs were being clinged by the creamy butter cream sauce, good to go with a bowl of steamed rice! 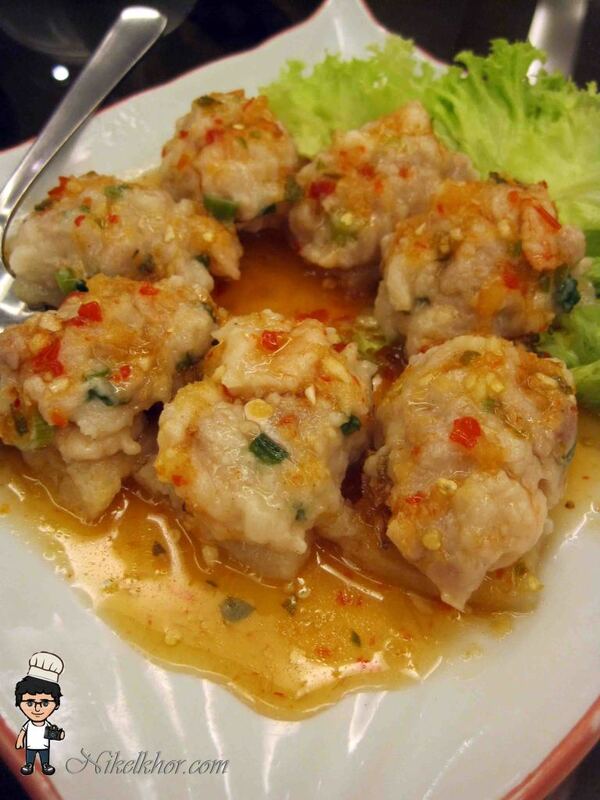 Distinguished from the normal cooking method of deep-frying, the seafood prawn balls here are made using minced seafood and using the light cooking method of steaming. The cooking method is just right to remain the sweetness and freshness of seafood. The cod fish is delicious too even it was only simply steamed with supreme soy sauce. The soy sauce gave appropriate saltiness to the fish, at the same time did not take away the shine of the cod fish as the main role of the dish! 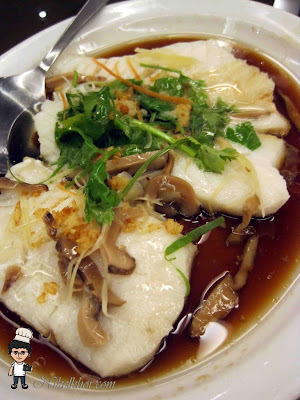 The cod fish was very well-steamed, it can be easily shown by its smooth texture! 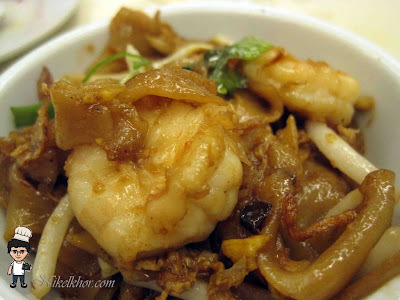 The supreme version of Fried Rice Noodles! 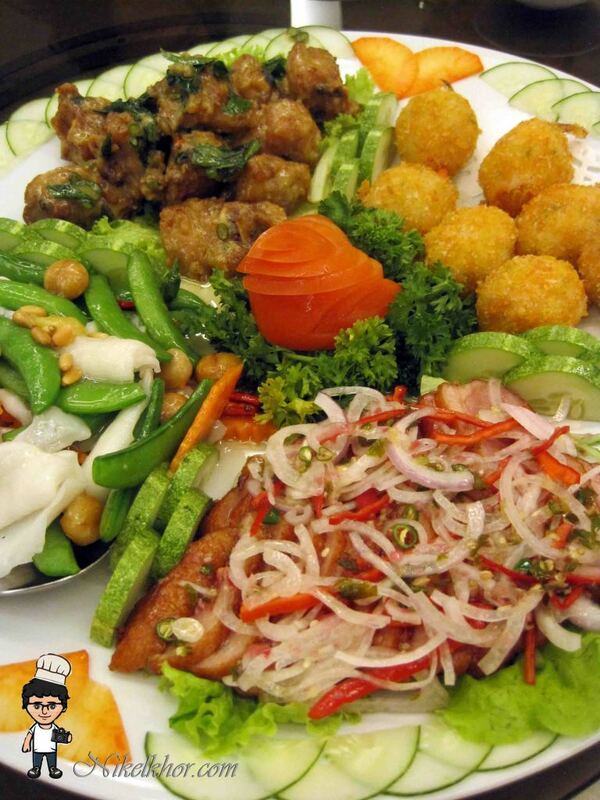 Every single bites of it contain different surprise of different seafood, like big fresh prawn, generous pieces of squid, crab sticks and etc. Overall, the quality and standard of foods in Restaurant Shelaiton are quite consistent, the foods were equally good on my two visits. Besides, the price is quite reasonable too, to enjoy foods with quality on par with five star hotel's restaurant. Race for Health, Race for LIFE!